Brexit and the aviation industry – "Over & Out"
Frontier Economics’ Dan Elliott explores the implications of the vote for the aviation industry both in the UK and across Europe. Much of the wider Brexit debate has focused on whether the UK can negotiate continued access to the single market while refusing to sign up to the EU’s rules on the free movement of labour. Great emphasis has been placed by Leave campaigners on the UK’s ability to negotiate new trade agreements with the EU and other countries, and on the strength of the bargaining position that the UK may have in those discussions. In aviation, these expectations will rapidly be put to the test. Achieving the most liberal outcome to the negotiations for the aviation sector will be of huge importance to business and consumers of all nationalities. But although it’s in everyone’s economic interests, it won’t be straightforward to achieve. Then-UK Prime Minister David Cameron addressed easyJet staff at the airline’s London Luton HQ ahead of the UK’s referendum on EU membership. For easyJet, the loss of freedoms provided by the European Common Aviation Area would be unfortunate but not disastrous. It would not be difficult for easyJet to become an EU-based airline, although in the long run it would probably lead to a more significant rebasing of aircraft in mainland Europe. For both historical and – most importantly – technical reasons, aviation markets are highly regulated. Airlines’ rights to offer services between any two locations in two different countries are governed by specific agreements between the governments concerned. And – unusually in today’s world of multinational companies – these agreements relate specifically to the nationality of the owners (at least at the corporate level) of the airlines concerned. The sector is, of course, also subject to extensive regulation related to security, safety, air traffic management and the environment. Many of these rules are pan-global, determined by the International Civil Aviation Organization (ICAO), the aviation agency of the United Nations. Where they are not, these standards need to be agreed between the parties determining the traffic rights, so that all countries know that the aircraft flying in their airspace are well-maintained, safely operated and not needlessly noisy. But they also need to make sure that the rules are not being used to block competition. At present the UK is a member of the European Common Aviation Area (ECAA), which includes all the EU states plus some others, including Norway, Iceland and the non-EU Balkan states. Any airline predominantly owned by people or companies based in a member state is free to operate anywhere within the ECAA, without any restriction as to frequency, capacity, and so forth. At present, both easyJet and British Airways count as UK-owned airlines. Both enjoy the full freedoms provided by the ECAA. The low-cost airline easyJet, in particular, has made full use of this freedom. When the UK leaves the EU, without special arrangements the UK’s membership of the ECAA would lapse and these airlines would lose all their automatic rights to operate to, from and within the ECAA. Furthermore, their rights would also lapse on routes that are now governed by agreements between the third-party country and the EU (such as the EU-US “Open Skies” agreement). However, it is important to note that these rights are reciprocal. US and other ECAA carriers would lose their automatic rights to fly to the UK. For easyJet, the loss of rights would be unfortunate but not disastrous. It would not be difficult for easyJet to become an EU-based airline, although in the long run it would probably lead to a more significant rebasing of aircraft in mainland Europe. IAG already has a Spanish AOC through its ownership of Iberia, and by similar moves it could mitigate the effects on the group. But rights to fly between the UK and the rest of the world would remain an issue for both airlines. So while the UK-owned airlines can mitigate some of the direct effects, they have clearly still been affected. Significantly, their Irish rival Ryanair – also exposed to the UK-specific effects, but less exposed to the wider EU rights issues – has seen less of an impact on its share price. There is an urgent need for the UK to replace the traffic agreements that will, potentially, be lost as a result of Brexit, and it seems pretty obvious that the UK should seek continued membership of the ECAA. But it is far from clear that the UK can achieve this without signing up to common technical rules and without making significant concessions on economic integration. The requirement that UK (re)sign up to a wide array of common regulations on safety, security, etc., is probably the least challenging obstacle. This might seem to run contrary to the desire expressed in the Leave campaign to free the UK from EU “red tape”. However, it hardly seems plausible that the UK would seek a bonfire of safety standards in aviation to make a point about sovereignty. And since much European regulation comes down from ICAO, it in practice applies whether the UK is in the EU or not. A greater obstacle is the requirement that members establish a “framework of close economic cooperation” with the EU. So the central issue of the UK’s attitude to the free movement of labour could yet impede its ability to stay within the ECAA. And there is a further risk. The ECAA is a multilateral agreement between the EU and its members, which means that – at least in theory – the UK’s membership may be blocked by any other member. One such might possibly choose to block membership with the idea of protecting its domestic airlines from more intense competition. When the UK leaves the EU, without special arrangements the UK’s membership of the European Common Aviation Area would lapse and these airlines would lose all their automatic rights to operate to, from and within the ECAA. Furthermore, their rights would also lapse on routes that are now governed by agreements between the third-party country and the EU (such as the EU-US “Open Skies” agreement). If the UK does not seek, or fails to gain, entry to the ECAA, other avenues are still open to it. It could negotiate a bilateral open skies agreement with the EU. Switzerland is not part of the ECAA, but enjoys virtually the same status by virtue of such an arrangement. However, it should be noted that this agreement is closely tied to other agreements concerning economic integration. A further option would be to negotiate bilateral deals with individual EU countries. But the practical challenges for the UK would be huge, and it is not clear why individual member states would agree. Similar problems face the UK when it comes to transatlantic traffic rights. Again, it could try to remain a participant in the EU-US Open Skies agreement, as Norway is. Or the UK could seek to negotiate its own new bilateral deal. But it is reasonable to suppose that both the EU and the US would seek to drive a hard bargain. And unless it can find its way back into the ECAA, in future the UK will be negotiating one-on-one with the likes of China and the Gulf Co-operation Council, rather than as part of a trading block of 500 million people. And what happens if the UK fails to reach an agreement with the EU or other countries, before it leaves? In the immediate term it is likely that the UK would seek to sign MoUs with those countries it had failed to negotiate an agreement with, extending current arrangements until such time as a new agreement could be reached. This could work as a stop-gap, but would inevitably merely delay the decision point. 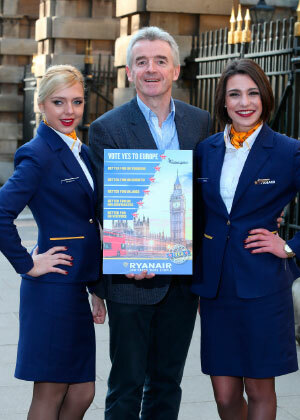 Ryanair famously ran a “Fly home to vote Remain” advertising campaign ahead of the UK referendum, with the airline’s CEO Michael O’Leary vociferous in his support for the UK remaining in the EU. Following the Brexit vote, Ryanair – exposed to the UK-specific effects, but less exposed to the wider EU rights issues – has seen less of an impact on its share price than the UK-owned airlines. For UK aviation, securing its place in the ECAA and in the EU-US Open Skies Agreement would appear to be the key objective for the forthcoming Brexit negotiations. This outcome is important not just to the UK but to consumers right across the EU, to maintain the momentum of growing competition in aviation markets. 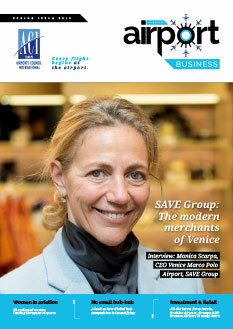 The most important point for all sides to remember is that less competitive aviation markets would mean higher ticket prices for all passengers, not just the British, further reducing demand and connectivity – creating a feedback loop that would damage the European economy as a whole, and in particular those businesses that make most use of aviation. The fallout from Brexit is potentially very serious, for airports both in the UK and across the EU. In the immediate term, the feared initial ‘shock’ impact has so far not materialised, with passengers continuing to fly. ACI EUROPE traffic figures for July 2016 show healthy growth of +6.8% for the EU overall and +5.6% for the UK. Traffic data for August released by individual UK airports has also largely been quite positive, with several airports big and small reporting double-digit growth in passenger numbers. Despite a softer initial impact than previously forecast, the longer-term uncertainty and the potential repositioning of the UK within or outside the single aviation market will unquestioningly hit airports. UK airports which are more dependent upon the airlines identified in Dan Elliott’s analysis will, of course, be most directly impacted. However, unlike the airlines, these airports – being inherently immobile – do not have anywhere near the same freedom to take mitigating action. Beyond the UK, those airports that are dependent upon inbound UK traffic are potentially most exposed (e.g. certain sun holiday destinations in south of Europe, airports in countries with close trading relations with the UK). This would be the case with respect to both post-Brexit currency movements, but also in terms of longer-term changes to the single aviation market. Regional airports both in the UK and across the EU are also likely to be most at risk. 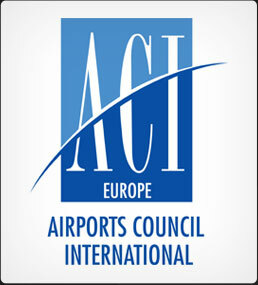 ACI EUROPE is extremely aware of the threat Brexit posed to airport members. To date ACI EUROPE is the only European aviation trade association which has formally called for the UK aviation market to remain integrated with the EU aviation market based on fully aligned rules, issuing a press release on 24 June to this effect. 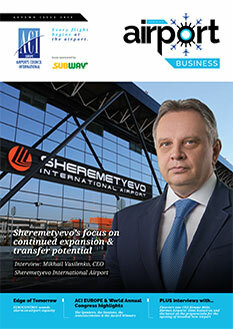 ACI EUROPE strongly believes that this is in the best interests of the European airport industry. 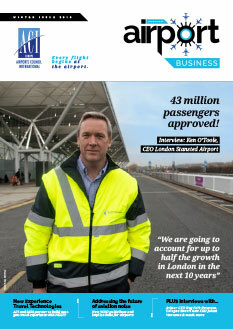 ACI EUROPE has also been consulting closely with industry partners over the past month, and is in particular cooperating closely with Airport Operators Association (AOA) – the national association for UK airports. Special updates have been sent specifically to UK airports, and a ‘Brexit Workshop’ is currently being organised for members, on 2 December in Brussels. The situation is expected to remain unclear for the foreseeable future. 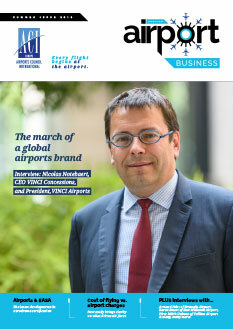 ACI EUROPE will continue to monitor developments very closely, and will offer a strong voice in favour of maintaining an integrated European aviation market, in any future negotiations.